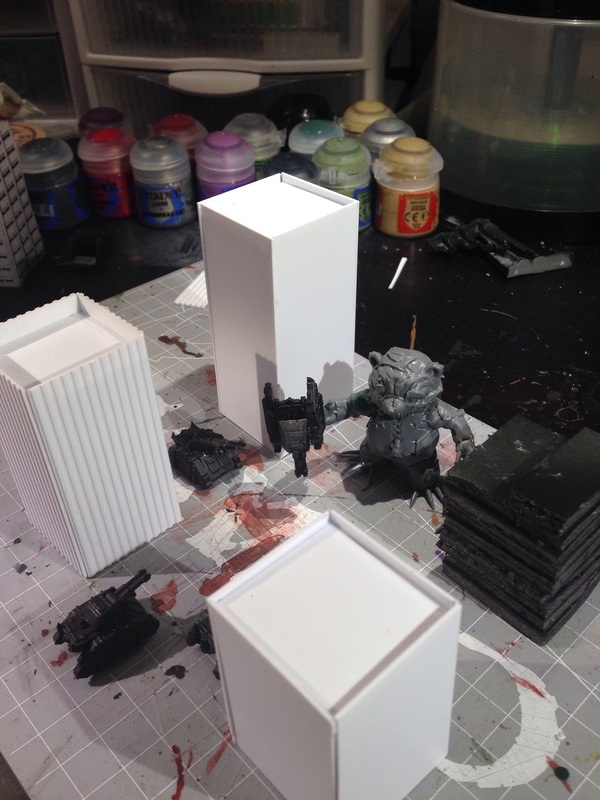 I’m having a good deal of fun building my Round 4 entry for the Iron Painter 2015 painting contest. For the diorama I’m working on, I needed to gather some supplies from a local hobby shop I’ve heard a lot about but haven’t previously visited. This shop is a train and modeling shop as opposed to the gaming stores I usually frequent for hobby supplies so I was able to procure all kinds of cool architectural modeling elements to use for this and several other projects. I’m not going to lie, it was pretty much a kid in a candy store scenario here. The model shop I went to, G&G Model Shop, had the largest selection of plasticard I have ever seen. 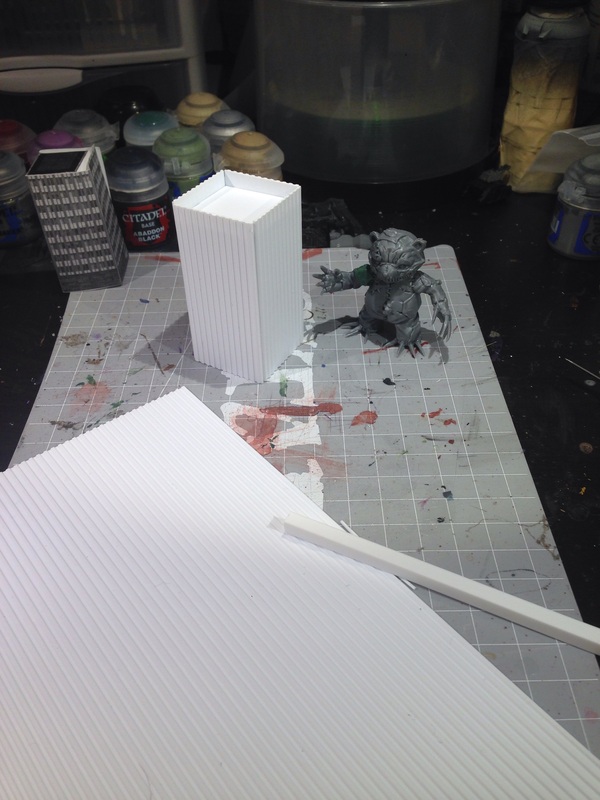 Pretty much any texture I could think of for basing or building terrain is available. They also had several sizes and thicknesses of plain sheets and a ridiculous amount of plastic I-beams and other similar articles. Basically, if I ever want to build something custom in the future, this is my new go-to shop. They also carry airbrush paints, so once I get more ambitious with my airbrush than just priming models, I will definitely be purchasing my paints there. 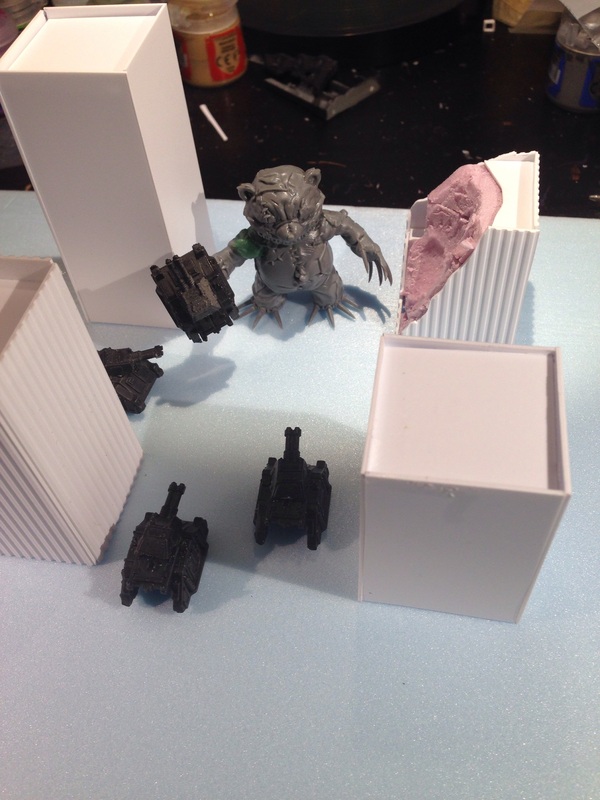 I was able to obtain some old Epic 40k tanks and infantry to use for this diorama, so the part I was more worried about getting my hand on in time has been taken care of. 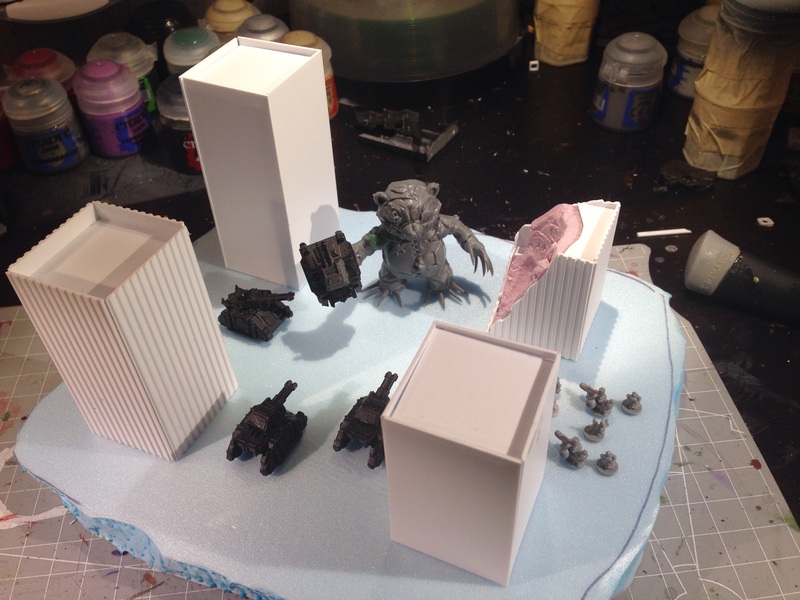 I pretty much have the major elements of this piece built, I just need to finish marking out the base of the diorama and then get some paint on everything. This round is certainly more modeling intensive than the previous rounds. 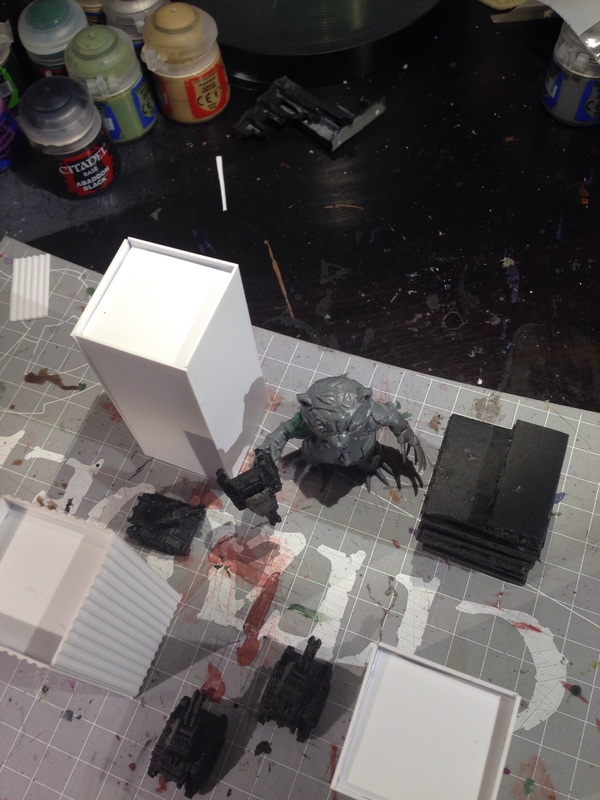 I really like how the layout of this diorama is looking, just gotta buckle down and get some nice paint onto this. The current plan is to have fire and smoke pouring out of the ruined building and hopefully I will be able to get some nice looking object source lighting coming from that. Check back soon to see how this is going, there’s not much time left!